Deals On Chairs is a family owned and run business. This small family staff has enabled us to establish a small, but strong and personal customer base. We treat our customers as family and strive to win their trust and business long term. Although our business is fairly new, our interactions with our customers in the past has allowed us to make great business relationships. We also take pride in serving our customer on a personal level. Not only does this allow optimal service, but also ensures satisfaction that will encourage customers to return to us for future needs. No order is too small or too large. We are available to serve you at every step of your shopping experience. What makes Deals on Chairs unique? You can easily track your online purchases by simply entering your order number and e-mail id in the 'Order Status' form on our website. Why choose Deals on Chairs ? At Deals on Chairs, our main aim is to foster a trusting relationship with each of our customers. We believe in offering our customers with only the very best, and that's why we provide products of unbeatable quality. Our ultimate aim is to make the shopping experience of our customers as easy and convenient as possible. 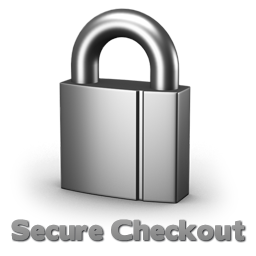 Our easy-to-use website will provide you assistance at every step, while shopping with us. If you need to contact us for any reason, please do so by emailing us at customerservice@dealsonchairs.com or use the contact us page located in the website footer. So what are you waiting for? Order a chair at Deals on Chairs today.